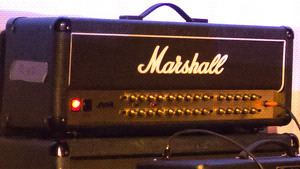 KitMonsters – Marshall JVM 410. The music makers’ guide to making music. 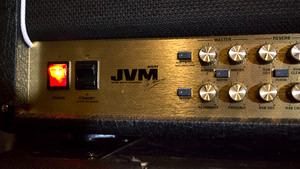 A versatile, all tube 100 watt head, the JVM series is Marshall’s most comprehensive range of amplifiers ever. The array of options on the amp, allow for an incredibly flexible range of tones. The 4 channels (Clean, Crunch and Overdrive 1&2), as well as 3 modes, offer a total of 12 uniquely different modes to choose from. Combine that with a reverb and a programmable foot-switch and you’ve got some serious tone possibilities. This amp can conjure up tones from the tight clean sound, to an unimaginably heavy British rock roar.